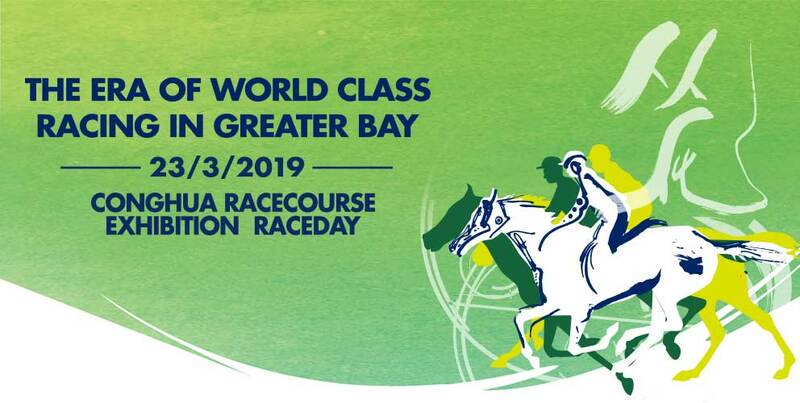 The Hong Kong Jockey Club, in collaboration with the Conghua District Government, staged an Exhibition Raceday at Conghua Racecourse today (23 March 2019). The first time Hong Kong horses have raced competitively in the Mainland, it was a historic day for Hong Kong racing. 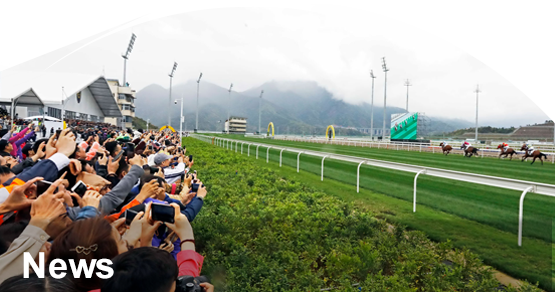 With five races featuring horses ridden by some of the world’s best jockeys and trained by some of its leading trainers, it was both a showcase for the high standard of Hong Kong racing and of Conghua Racecourse’s contribution to the tourism development of Conghua District. 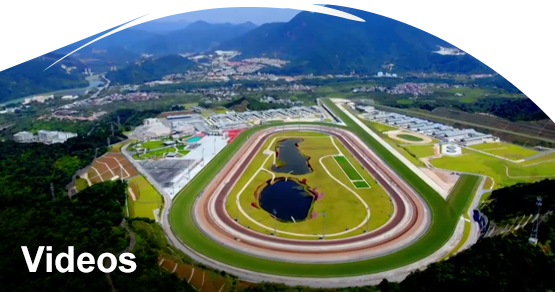 The event also highlighted the potential of Conghua Racecourse to contribute to the development of an equine industry in the Guangdong-Hong Kong-Macao Greater Bay Area, building on the success of Conghua’s equine disease-free zone and the co-operation between Mainland and Hong Kong SAR authorities in establishing arrangements for the cross-boundary transportation of horses between Hong Kong and Conghua. Senior officials from the Central Government, Guangdong Provincial Government, Hong Kong SAR Government and Guangzhou Municipal Government were in attendance. In all some 1,700 Mainland residents witnessed this historic occasion. 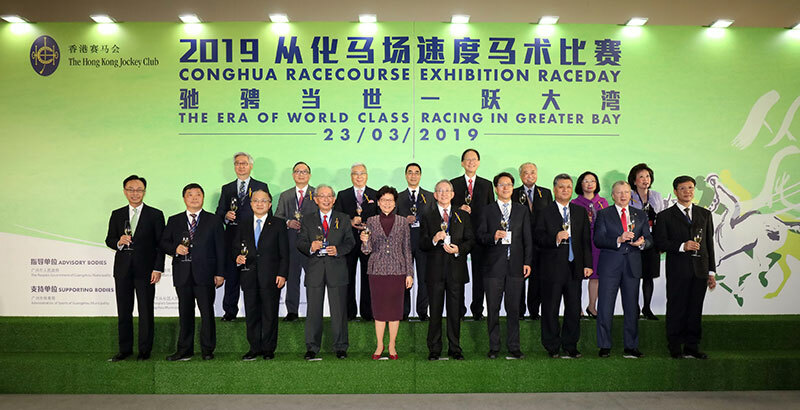 “Conghua Racecourse – and today’s Exhibition Raceday - owe their success to the strong and close ties between Hong Kong and Guangdong and the excellent co-operation between authorities at every level,” said Club Chairman Dr Anthony W K Chow at the opening ceremony. 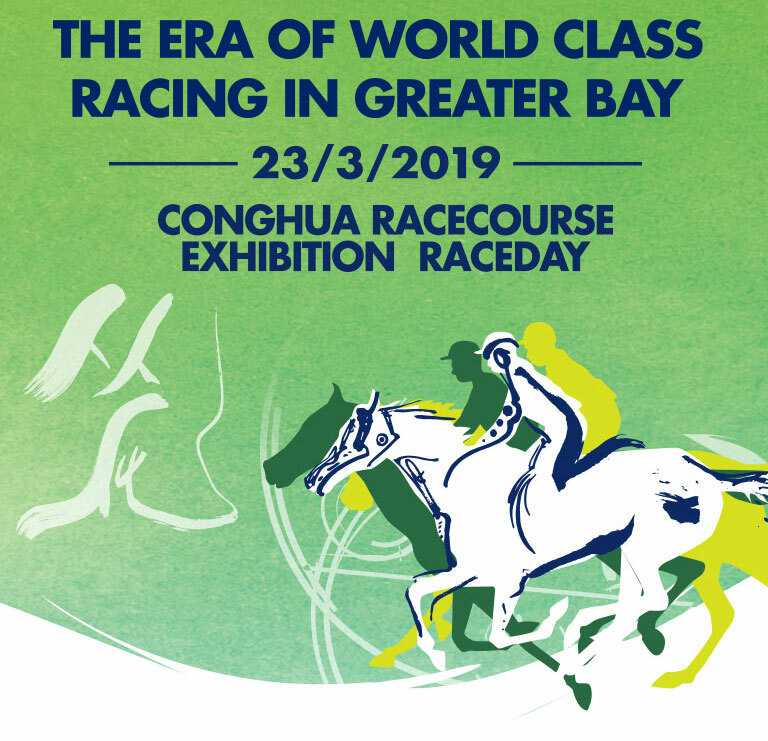 “With its world-class facilities, internationally recognised equine disease-free zone, and highly skilled workforce, Conghua Racecourse is ideally positioned to support the development of a world-class equine industry – bringing both employment and economic development to the Greater Bay Area. Indeed, given its location in the superb natural surroundings of Conghua District, we believe it can do a great deal to promote Conghua as a national and international tourist destination,” said Dr Chow. In her remarks, Chief Executive of the HKSAR Mrs Carrie Lam hailed Conghua Racecourse as being a successful example of co-operation in developing the Greater Bay Area. Mrs Lam noted that the majority of Conghua Racecourse employees are from the Mainland, with training provided by the Hong Kong Jockey Club. This, she said, will ensure the development of world-class, equine-related professionals in the Mainland and the continuing growth of equine sport in the country in the long run. She said the HKSAR Government will continue to strengthen cooperation with the Mainland to ensure the smooth operation of the Conghua equine disease-free zone and enable Conghua Racecourse to contribute to the development of equine sport and related industries in the Greater Bay Area. 15 top Hong Kong jockeys took part in the five races partnering 44 racehorses from the stables of 16 trainers. Mathew Chadwick partnered the Richard Gibson trained Nordic Warrior to win the historic first race of the Conghua Racecourse Exhibition Raceday. “Today’s Exhibition Raceday was the result of a great deal of planning and hard work to ensure it was run according to the same high standards of integrity, safety and animal welfare as in Hong Kong. We hope this will provide a benchmark for future horse racing competitions in the Mainland. My sincere thanks to Mainland and HKSAR authorities, to horse owners and trainers, and to the Club’s employees for a magnificent team effort,” said Club CEO Winfried Engelbrecht-Bresges.